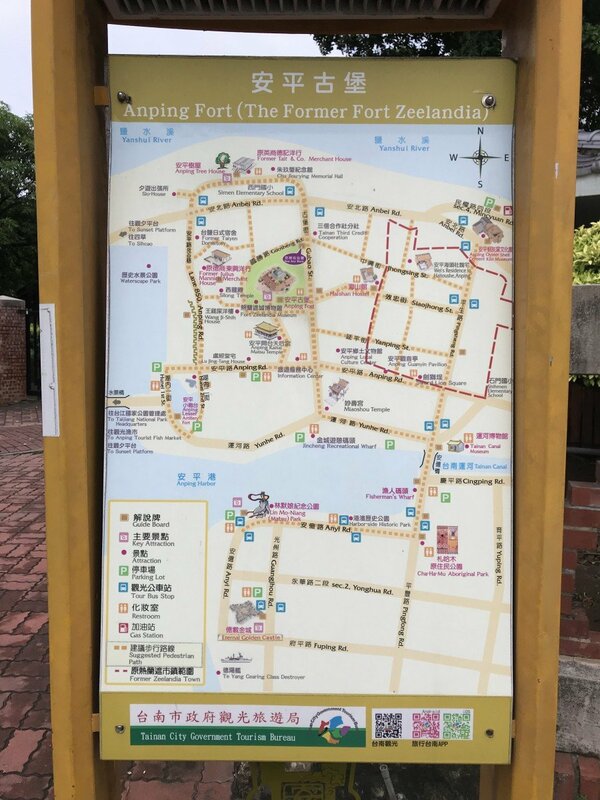 My first exploration of Tainan (台南市 / tai nan shi) was a little abbreviated, to say the least. Because of a packed itinerary earlier in the day, we didn’t have as much time as we would have liked to explore the city. When we got into the city though, much of the touristy places what we wanted to explore weren’t open. Take for instance, Anping Old Street (安平老街 / an ping lao jie). Maybe 10% of stalls were open? It was still fun to walk around and get a feel for the culture here. 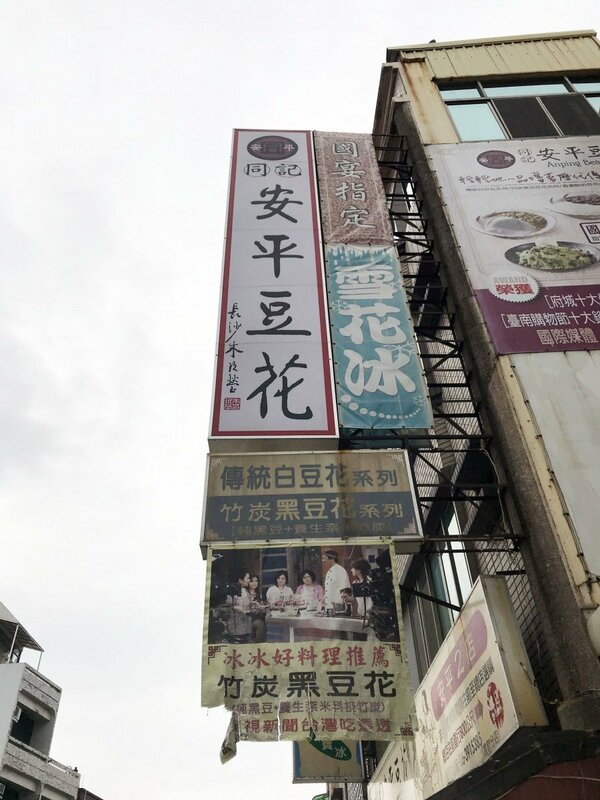 Wandering along the outer perimeter of the old street, we stumbled upon a dessert shop, Anping Bean Jelly (安平豆花 / an ping dou hua). Seeing a small line outside, we decided to drop on by. There is seating inside, but you order outside towards the front. 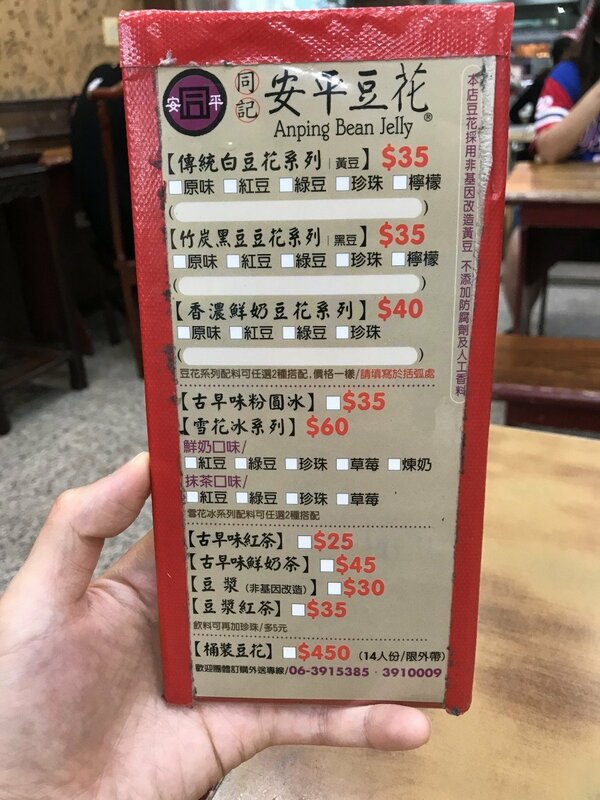 The menu is pretty simple. You can get the traditional version with lemon, black beancurd, and a version with fresh milk. For each bowl, you choose the type of bean or topping you want to add to your tofu pudding. Anping Bean Jelly also has shaved snow. The tofu pudding sauce was just slightly more sweet than I would have wanted, but the lemon and pudding helped balance things out. 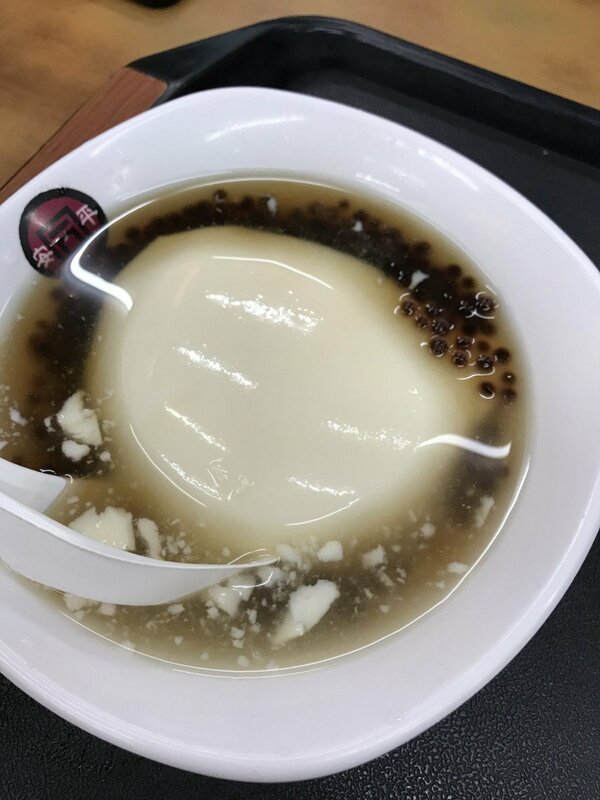 The tofu pudding melted in my mouth and the small tapioca balls provided a fun texture. As it was hot outside, the dessert was a nice way to cool down for a bit. In the way of tofu pudding that I’ve had, this ranks towards the top. Most of the tofu pudding that I’ve had has been simple in flavor (oftentimes just sugar water with tofu in it). For what it looks like, Anping Bean Jelly was much more complex than I previously would have imagined. If you’re in the area and craving tofu dessert, drop on by for a simple but delicious refresher. The post Stumbling Upon A More Complex Tofu Pudding appeared first on Collecting EXP.